For much of our work, we manufacture windows and doors to measurements supplied by our clients, their builders or architects. A full and detailed guide is given about how to measure, how to check openings are square and precisely which dimensions should be supplied. However, some clients like to make use of our Site Survey Service. One of our Project Managers will visit and discuss with you or your builder the requirements for the openings and any alterations that may be required, and how to install if this is being carried out by your joiner. Measuring of the openings can also involve the removal of old windows to check existing profiles and the temporary securing of openings following measuring. This can offer peace of mind with refit projects. On more complicated openings, templates will need to be made to ensure a perfect fit. Our Project Managers are experienced in producing templates and this may be an option for your own project. For the competent and experienced installer, our products come with full instructions on the correct procedure to follow when fitting. 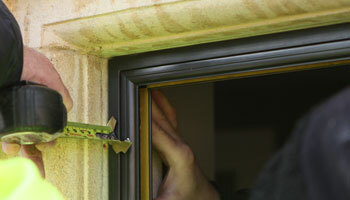 Glass silicone, glass packers and screws are provided for this to be carried out. 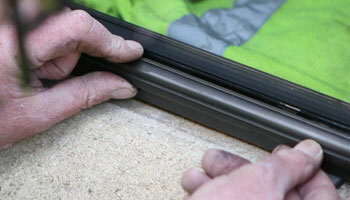 Alternatively, we can offer an on-site demonstration to your own installers if they feel this would be beneficial. This is carried out by our site managers and usually takes a day. Many clients take up our Installation Service which provides a dedicated team of skilled and experienced fitters, overseen by our Project Manager. 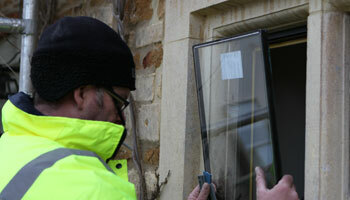 We offer a removal service for taking out old windows and removing from site. However carefully this is done, reveals may need repair and advice will be given on the options. Installation generally involves careful fitting of our bronze windows and doors, but may also include fitting of timber sub frames and glass. All this is overseen by our Project Managers who will formally hand the project over to you once completed and who are experienced in working on both domestic and commercial projects of all sizes.